Dorna Sports, the operator and promoter of the MotoGP World Championship racing series has entered a brave new world of eSports and if it's early results are anything to go by, they are on to a winning formula with a Championship series which puts the fans front and center. It is just the latest in a series of moves from the Spanish company that is elevating the elite level motorcycling series to rival Formla 1 for thrills, spills and dollar bills. Jerez, Spain, April 27, 2016	(Newswire.com) - ​​​​​​​​​At the opening race of the 2016 season in Qatar, Dorna Sports quietly announced the creation of the first eSports series in the elite level, motorcycle racing series. 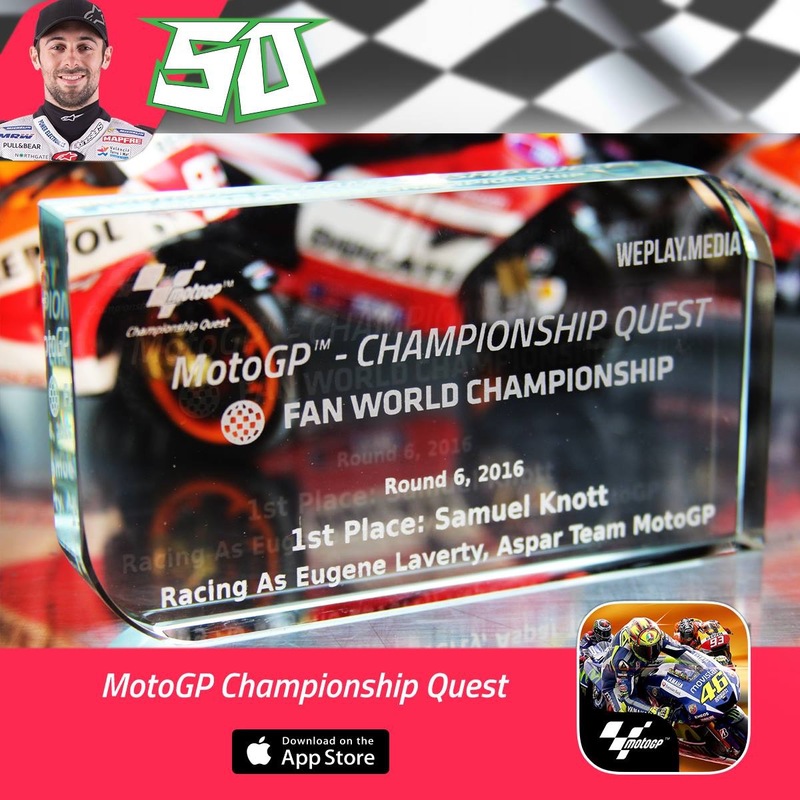 The MotoGP Fan World Championship was created to enhance the fan experience and capitalize on the global uptake of smart phones and tablets. 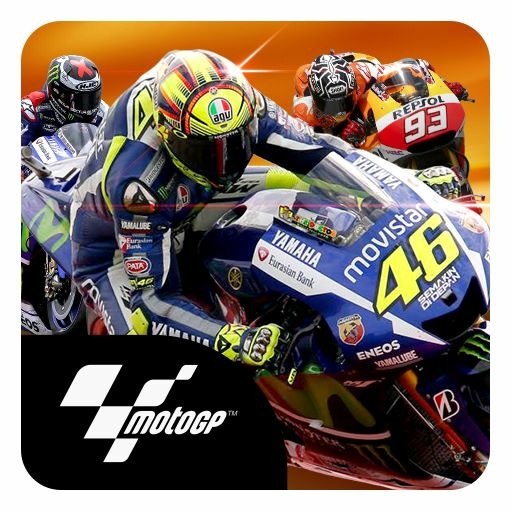 The newly launched MotoGP Championship Quest app heralded a new approach for MotoGP as the app is the first and currently only free one offered. In doing so it it would enable the hundreds of millions of fans across the globe the opportunity to engage with the sport, and of course their favorite riders. By the conclusion of the fly aways and at the European calendar opener in Jerez, the first evidence of the successful launch of the Fan World Championship emerged. 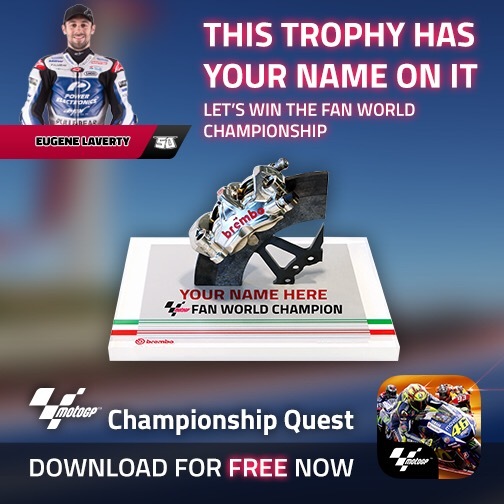 While the app remained in a “soft launch” state and available only in select countries and exclusively on the Apple platform, hundreds of thousands of fans had downloaded the game and begun to represent their rider of choice in the Fan World Championship. Leading the pack is an English fan, Sam Knott, who had quickly established a capacity for the skillful timing the game requires and began to amass points in such a prodigious way that he not only clinched the first round, but the 2nd, 3rd and 4th as well. Knott’s efforts lifted an unlikely racer to the podium, as Eugene Laverty, the Irish rider of the number 50 Aspar Ducati emerged as the Fan World Championship winner. How this occurred is the genius of the MotoGP Fan World Championship and the reason why Dorna’s approach is not only customarily smart, but deeply insightful. For a start, the Fan World Championship could not be decided by a simple algorithm of the quantum of players and the sum of their scores. If it were the obvious winner would be Valentino Rossi who is said by many to be almost, if not bigger, than the sport itself. Instead the Fan World Championship addressed the new “buzz word” in digital marketing speak. Engagement. The Fan World Championship is simple and elegant in it’s conception and execution. The rider who has the highest average fan score at the end of each week wins that round of the sSports series. The fan who contributed the highest score to that rider joins them on the podium, and in doing so is awarded with a beautiful trophy and prizes. 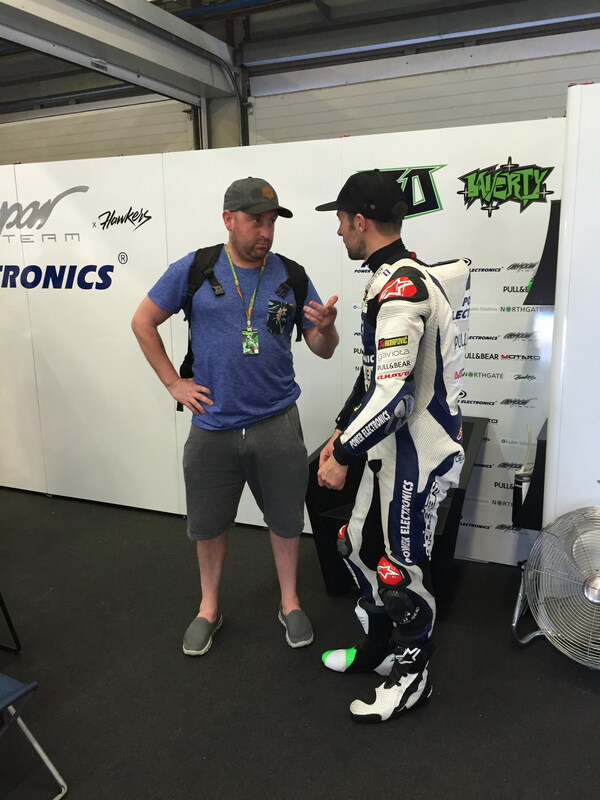 Due to the powerful performance of Knott in the opening rounds, the Englishman was invited to join his favorite rider, Eugene Laverty, in the box on Saturday and was interviewed by BT Sports. Knott revealed that his winning streak was no accident, in fact he had logged points for Laverty in the billions and clocked up to 3 hours of game play each day in order to secure the podiums top step. It also demonstrated the affinity between fans and their national hero's of the sport, and while Laverty is Irish, Knott cheerfully said "we won't hold that against him" while winking for the cameras. Behind him was Bradley Smith and Pol Espargaro, each represented by their top scorers, showing that the dominance of the “Alien” brigade and their factory mounts, does not necessarily guarantee a podium in the Fan World Championship. In fact it seems that the underdogs may have a distinct advantage in this series, as their fans, being the die hard group they are, are perhaps more willing to go the extra mile and commit the time to ensure they are well rewarded. So has Dorna come up with a field leveling method of ensuring that big budgets and fan bases do not guarantee success? If so, perhaps their foray into eSports may have succeeded ahead of other such initiatives as the unified software from Magneti Marelli and Michelin tires, both new for the 2016 season and introduced to reduce cost and level out out budgetary advantage. One thing is for sure that the commitment and passion of the fans who turned up at Jerez in record numbers is real and runs deep. Dorna’s efforts to connect them with the ubiquitous smart phone is likely to be another smart move for the sports promoter that is gaining notoriety for its management of a race series which is even winning the hearts and minds of Formula 1 drivers such as Lewis Hamilton and F1 boss and former champion Nicky Lauder. Both have recently commented that MotoGP has what F1 lacks, excitement, noise and unpredictability, each of which is fodder for the fans who lap it up at the track and on television. 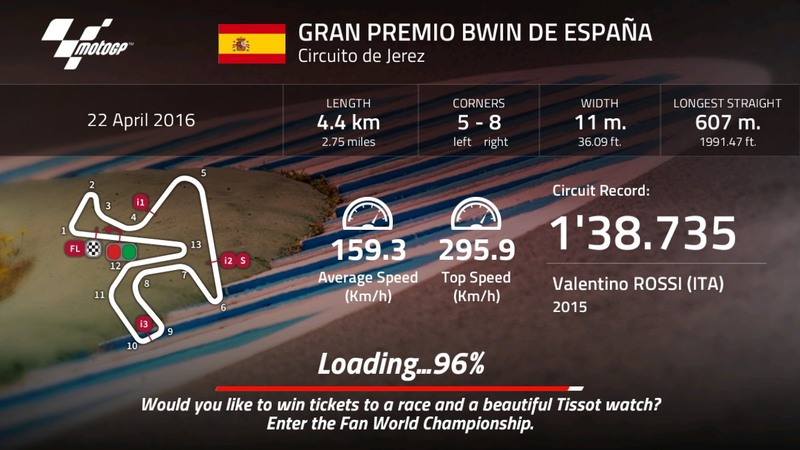 Adding the second screen, the phone or tablet, also ensures that Dorna delivers even more screen time for sponsors. 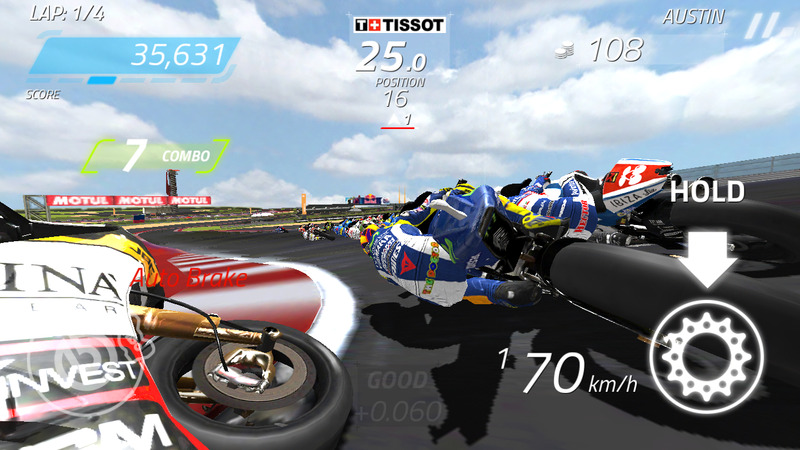 In the week leading up to Jerez, a spokesperson for the game Graeme Warring said "this week alone we saw over 8.2 million minutes of game play, close to 140,000 hours of screen time which is great added value for the sponsors of MotoGP whose track signs and bike and rider livery is front and center of the players gaming experience and this is going to increase massively as we release the game world wide on iOS and add the Android platform." As Dorna Sports confronts a brave new world of cable cutters and a broadly distributed media environment, it's move to engage with fans on the screens they carry around in their pockets or purses, may well prove to be a master stroke. If the smiles on the face of Sam Knott and his wife are any indication, the future looks to be a bright and incredibly happy one.